The Blue Devils will send a performing ensemble to Taiwan for a week-long trip as part of the International Band Festival in Chiayi City. The Blue Knights are mourning the loss of longtime volunteer Rhoda Story who passed away this week after a prolonged battle with cancer. Bluecoats announced the return of Bob Higgins to the corps’ brass instructional staff. Boston Crusaders staff member and DCI Hall of Fame member James Campbell was recently presented the Yamaha Legacy in Education Award. Bob Chreste, the director of bands at Stephen F. Austin High School in Texas, has been named the Cadets’ visual caption supervisor. Carolina Crown saw a record turnout during the corps’ first audition camps of the year. The Cavaliers’ GearWORKS Chop Session series gives percussion, brass and woodwind students the opportunity to learn from and work with Cavaliers staff members. Upcoming events are on the schedule for December and January in River Grove, Illinois. The Colts’ year-end banquet including the presentation of a number of awards including those for outstanding first-year members, most improved members and Colts member of the year. Crossmen members recap the corps’ recent audition camp in Dallas in this recently-posted YouTube video. Get free shipping on the Legends Christmas ornament if ordered by December 13. The Madison Scouts are collaborating with the Wisconsin Bankers Association to launch nVestWisconsin, LLC, a crowdfunding website that supports local nonprofits, businesses and projects. The Mandarins send seasons greetings in the organization’s recently-posted winter-edition video newsletter. Music City is expecting a hefty crowd of some 400 prospective members in attendance at the corps' upcoming audition camp beginning December 11 in Franklin, Tennessee. Generous donors helped Pacific Crest raise nearly $4,000 as part of #GivingTuesday. Get free shipping from now to the end of the year from Phantom Regiment along with a great sale on many popular items. Pioneer’s 2016 production, “St. 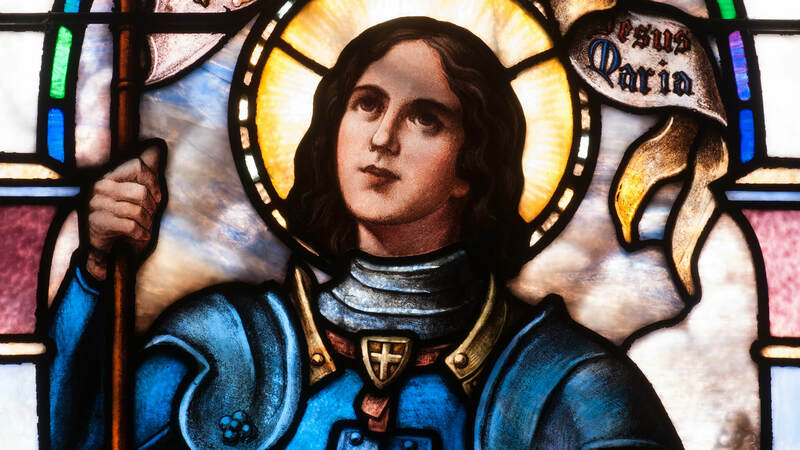 Joan of Arc,” will feature music by Samuel Hazo, Barber, and Stravinsky, among others. Spartans added new merchandise to the corps’ online store just in time for the holidays.